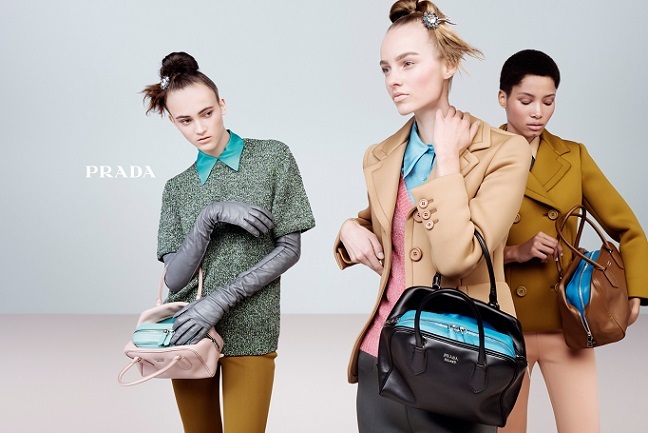 PRADA FW2015 womenswear advertising campaign shot by Steven Meisel reframes the notion of reality in an elegant, ironic ode to meta-modern femininity. The group narratives bring to life a feeling of natural elegance, where suspended youthfulness intermingles with the classic, and very new codes of the ultra-feminine. There is a relaxed feel to the casual postures, rooted in the real, frozen moments of an imagined story. The perfect soft pastel surroundings are pure artifice, upon which the layering of multiple codes and narratives is played out. The impression that the virtual and the real are indistinguishable is captured in the styling of this new and fascinating worldview. The materials of the collection re-wire tradition with science, to bring illusory surfaces and new forms and uses to fabric. 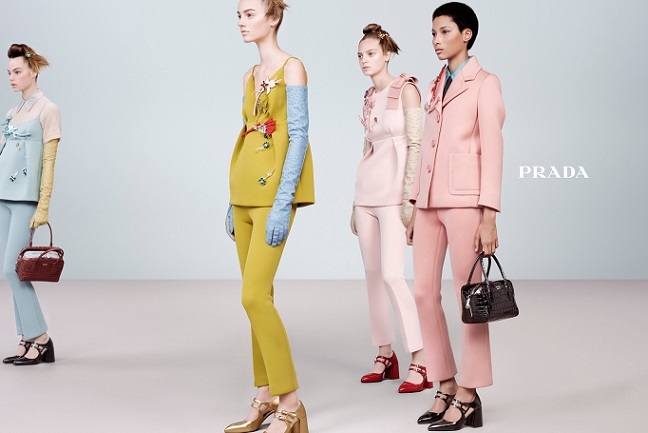 Cropped trouser suits appear in otherworldly colors as un-uniform. 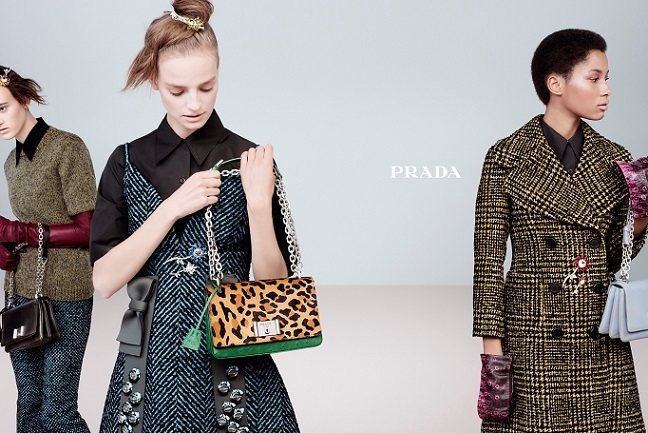 A subtle but significant re-addressing is played out when opposites such as opera gloves and cropped metallic sparkling tops are paired to create powerful new codes of attraction. The distinctive architecture of the clothes is reflected in the staging of these wide-screen vignettes, where off-hand gestures and a playful body language are casually orchestrated in a conversation about the power of a hyper-style reality. 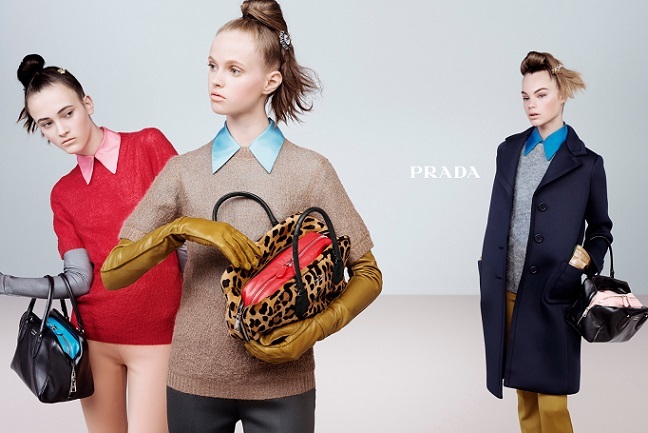 The season’s most exciting new faces are the stars: Avery Blanchard, Estella Boersma, Inga Dezhina, Lineisy Montero, Ine Neefs, Greta Varlese and Maartje Verhoef.